A neighbor’s tip about drug activity led police to the house in the 7800 block of Harding in southeast Houston. HOUSTON — “I can’t believe Dennis would shoot back” that's what one neighbor said on Tuesday, less than 24 hours after a shooting left five Houston Police officers injured in southeast Houston. On Tuesday, neighbors got their first up close look at the home where four Houston police officers were shot and a fifth injured while serving a warrant on Monday. Harding Street remained closed through the night as police investigated, only re-opening it around 5 a.m. Tuesday. Daylight revealed bullet holes, smashed windows, and blood on the house, medical gloves in the yard, and other remnants of the shootout. A neighbor’s tip about drug activity led police to that house in the 7800 block of Harding. “I was scared cause I thought (the gunfire) was in my house,” said Maria Sanchez, who lives next door. 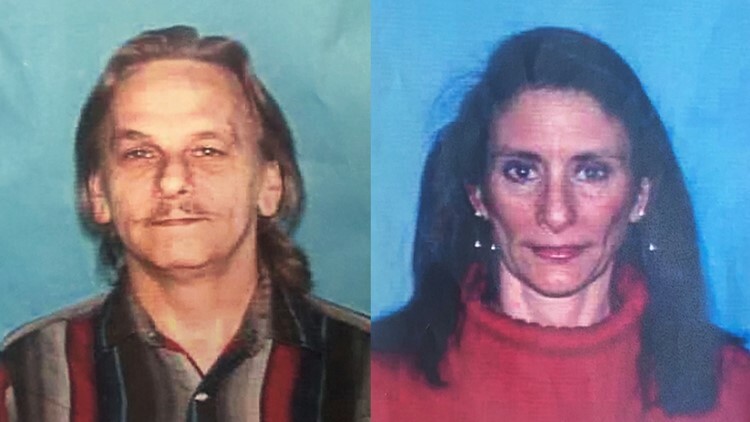 Neighbors and police identified the couple who lived inside the home as Dennis Tuttle and his wife, Rhogena Nicholas, also known as Regi. Tuttle's sister Elizabeth Ferrari drove in from Dallas on Monday. She's in disbelief at the blown out windows and bullet holes riddled through the family home. "I don't know any details," said Ferrari. "I came here hoping this was all incorrect." Ferrari told KHOU 11 News her brother was a veteran. She says none of this makes any sense. "He's former Navy," said Ferrari. "Released on honorable medical discharge. Has had debilitating injuries for many years. It's just a sad situation." Houston Police say it was a neighbor's tip that led them to Tuttle and Nicholas. "The neighborhood thanked our officers," said HPD Chief Art Acevedo. "It was a drug house. They described it as a problem location." Neighbors on Harding St. told KHOU 11 News they never noticed suspicious activity. The suspect's home is one of few not fenced in and there are no security cameras. "I've known them for a while," said friend Michael Gonzalez. "You could could hang out with them. Never had any issues with them. And they never had an issue of dope." The suspect's sister is grateful every police officer survived, but still baffled why her brother and his wife ended up in this shootout with police. "Our prayers are with the officers and with their families that were affected," said Ferrari. "It's a very tough situation." A house next door to the Tuttles’ home does have surveillance video. However, a resident, who asked not to be identified, said police took that footage for evidence.